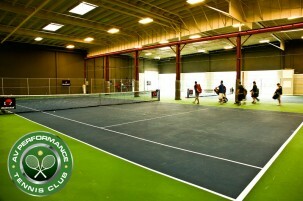 I’ve been going to the AV Performance Tennis Club in Bellevue, Washington since it opened a couple years ago. It is unique in the Seattle area for the types of tennis programs it offers. Where most clubs offer the standard group instruction that differ very little from place to place, AVPTC’s programs are diverse. But before I get into the programs, here’s a little bit about the club. AV Performance Tennis Club is Seattle area’s premier, high-performance tennis academy. It’s run by head pro, Alex Vlaski, along with other elite tennis and fitness instructors. 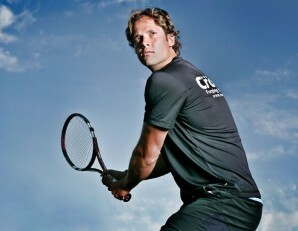 Alex is the former #1 player on the University of Washington tennis team where he holds the record for most singles wins. He won the All-American Championships and was a semi-finalist at the NCAA championships and 3 time All-American. Alex and the rest of the trainers at AVPTC’s provide members with the highest quality classes for tennis enthusiasts of all levels and all ages. They state on the website that “It is our mission to take players of any level or skill ability and provide them with everything they need to completely fulfill their potential.” And they do. I remember one of the adult sessions I attended where we did “Advanced Weapon Training”. Basically it was a number of drills, that I had never done, to specifically improve my already fearsome forehand (as fearsome as a 4.0-level forehand can be anyway). If you’re ever in the Seattle area and want to play some tennis with what are basically ATP-level tennis players, Alex and his staff will set you up. Highly recommended. More information about the club is available at their website: avtennis.com.